Alim-ud-din A Straight Bat is written by a trio who have a real passion for the greatest of all games, and also for the written word. A joy to read! Alim was a fascinating figure in many ways and his story makes an interesting sporting biography. Alim was born in December 1930 in Ajmer, Rajasthan. His father was an electrical engineer, and Alim honed his early cricketing skills on the grounds of Mayo College, though he did not study in this exclusive school. Alim-ud-din’s break came when he was selected to play for Rajputana against Delhi in the Ranji Trophy in November 1942. He was only 12 at the time! “His appearance in the semi-finals of the Ranji Trophy at Baroda in February 1943, was nothing short of being remarkable especially when one considered the quality of the players in the field - Vijay Hazare, Cottari Nayudu, Hemu Adhikari, Mutyalswami Naidu, Wyankatrao Ghorpade, Raosaheb Nimbalkar and Vivek Hazare! Though Rajputana was annihilated by Baroda, Alim scored the highest number of runs - 13 in the first innings and 27 in the second -before being stumped.” He became the youngest player ever to play first class cricket and created a world record. Cricket eventually led Alim to Bombay, where his elder brother lived. It was in Bombay that he met a person who was to have considerable influence on his life. “No sooner had I arrived in Bombay than I decided to go to the Sunder Cricket Club to play in the nets. It was here that I met Zulfiqar Ali Bhutto, who was a member of the club and lived somewhere in Worli.” (Former England captain, Douglas Robert Jardine was also born here). The family moved to Karachi, Pakistan in early 1948. 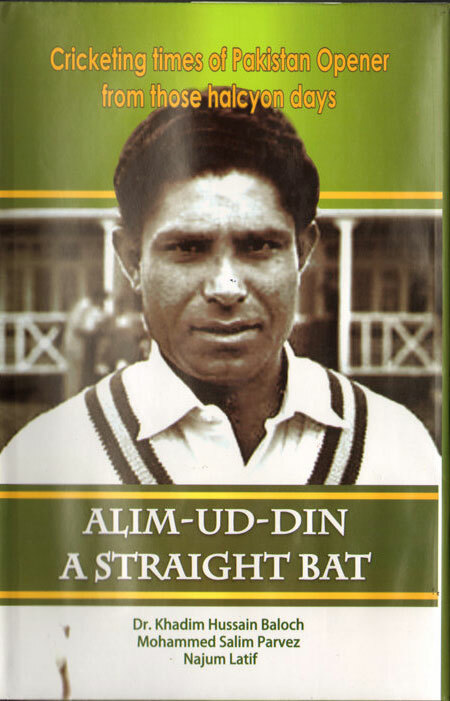 A right-hand opening bat, Alim-ud-din, was among the first generation of Pakistan cricketers. As an opening batsman, he successfully held off both pace and spin, at home and away on matting and turf. After arriving in Karachi, Pakistan’s capital city at the time, Alim had the distinction of facing the opening delivery against the first touring team in 1948 – John Goddard’s West Indies side – for Sindh at Karachi Gymkhana. He was also the opening batsman on his country’s first overseas tour to Ceylon in 1948-49. 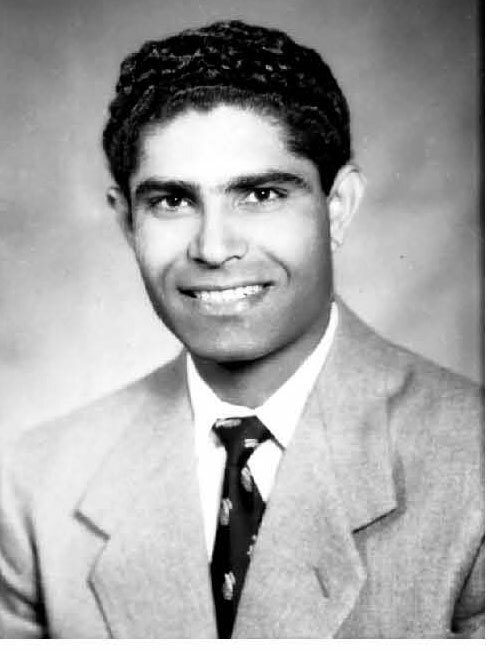 Alim-ud-din played 25 Test matches for Pakistan, and 140 First Class matches in his cricketing career. More importantly, Najum Latif has recreated the excitement of key matches and series with India, Australia, West Indies, and England played at home or away – until the 60s. Great names come alive and adrenalin recirculates. Alim-ud-din passed on in England in July, 2012, aged 81years. His death leaves Pakistan with only four survivors - Hanif Mohammad, Imtiaz Ahmed, Waqar Hasan & Wazir Mohammad - of the famous Oval win against England in August 1954. For the first time a biography of this calibre has been written in English on a Pakistani cricketer, by Pakistani writers. An immensely enjoyable book, Alim-ud-din: A Straight Bat takes one through the early decades of post-partition cricket in Pakistan.